A dental implant is an artificial tooth root used in dentistry to support restorations that resemble a tooth or group of teeth. Dental implants can be used to support a number of dental prostheses, including crowns, implant-supported bridges or dentures. Dental implant success is related to operator skill, quality and quantity of the bone available at the site, and the patient's oral hygiene. The general consensus of opinion is that implants carry a success rate of around 95%. 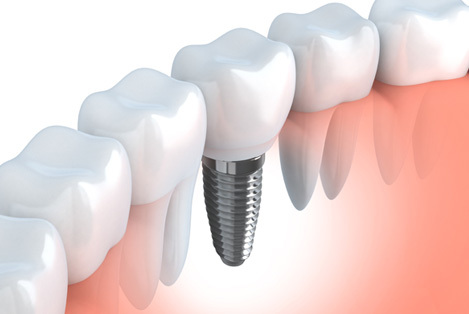 Dental implants will allow you to once again speak and eat with comfort and confidence! We offer different reputed implant systems like Nobel Biocare, Oral tronics, Endopore, Xive, Hi-tec, osstem, Mini implants etc to suit each patient’s requirements.